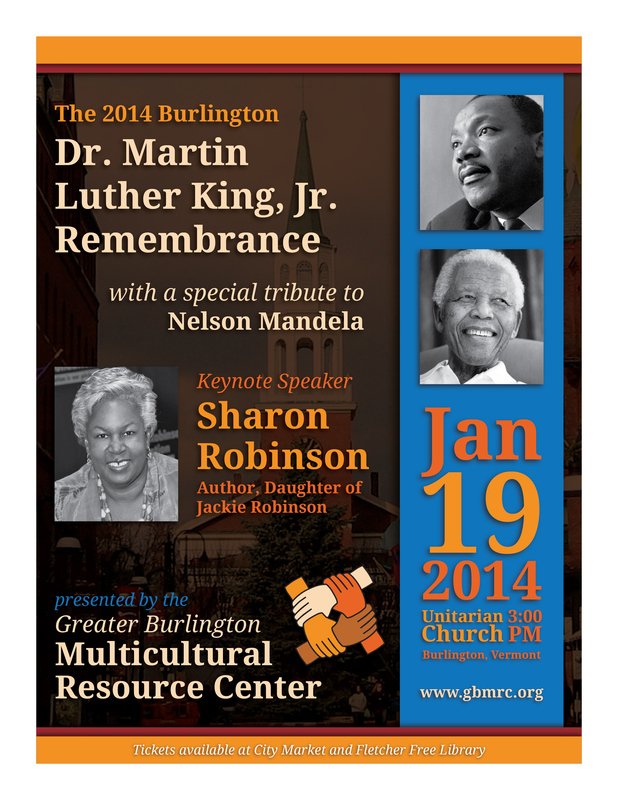 The Greater Burlington Multicultural Center welcomes Sharon Robinson, author and daughter of Jackie Robinson. Sharon Robinson is the educational consultant for Major League Baseball. She manages Breaking Barriers: In Sports, In Life, a baseball-themed national character education curriculum that helps empower students to face obstacles in their lives. The program includes a national essay contest for students in grades 4-9 and throughout MLB’s RBI program. Each year, thousands of students write an essay about how they used the values demonstrated by Jackie Robinson to overcome their challenges. Essay winners are celebrated in their schools and in Major League ballparks. Since 1997, the program has reached over 22 million students and 2.9 million educators. Ms. Robinson is also the author of many works of fiction and nonfiction. She has written several widely praised books about her father, baseball legend Jackie Robinson, including Jackie’s Nine: Jackie Robinson’s Values to Live By, Promises to Keep: How Jackie Robinson Changed America, Jackie Robinson: American Hero (children’s biography), and picture books Testing the Ice, illustrated by Kadir Nelson and Jackie’s Gift: A True Story of Christmas, Hanukkah and Jackie Robinson, illustrated by EB Lewis. Sharon’s other books include novels: Safe at Home and Slam Dunk! In January 2014, Under The Same Sun, illustrated by AG Ford, will be published by Scholastic. Prior to joining MLB, Sharon had a 20-year career as a nurse-midwife and educator. 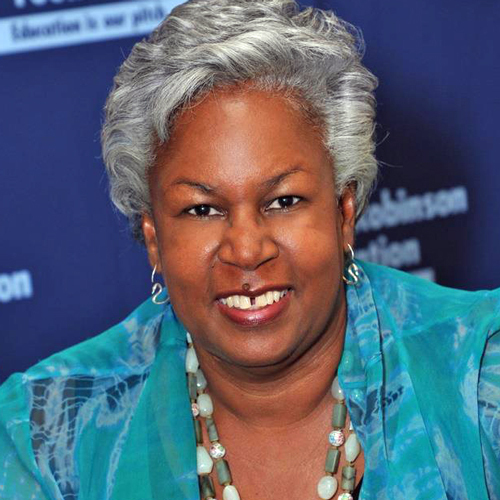 She taught in such prestigious universities as: Yale, Columbia, Howard, and Georgetown and is Vice Chairman of the Jackie Robinson Foundation. Ms. Robinson received her Bachelor’s degree from Howard University and Master’s from Columbia. She went on to earn a post-Master’s Certificate in Teaching from the School of Nursing at the University of Pennsylvania and received honorary doctorates from: Medaille College, Dowling College, and Monmouth College. Sharon lives in Sarasota, Florida and New York City. Brought to you by the Greater Burlington Multicultural Resource Center. For more information, call 657-4219.